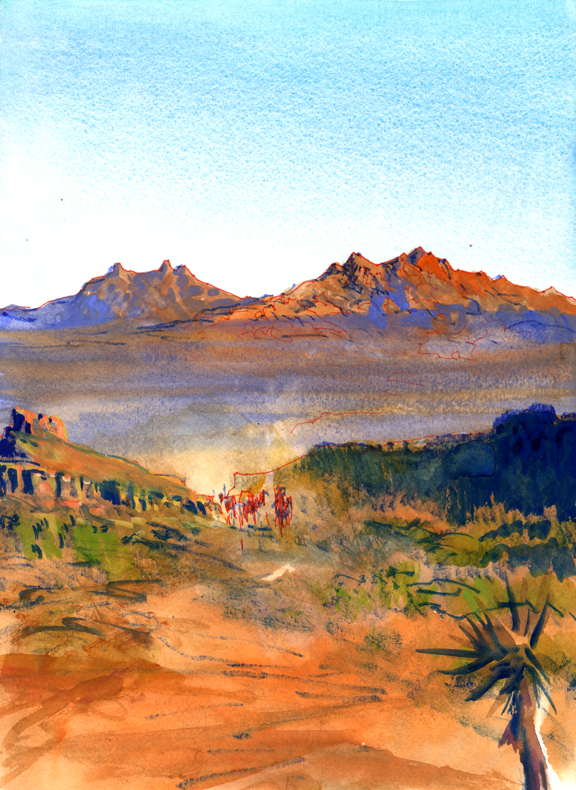 Daily Whip Out: "A Study of Beale's Camel Corp Traversing Red Ghost Canyon." Heading to Wickenburg in the morning for the annual Gold Rush Days Parade. 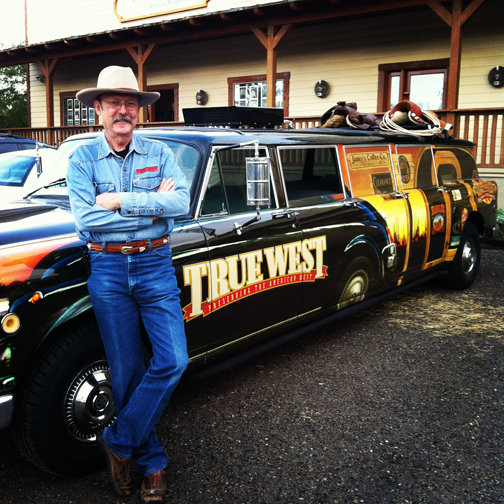 Driving the big, stretch cab with the True West logos over the door. Lee Anderson will be riding Concho. Handing out free mags. Always enjoy this parade. Yes, those are saddles on the roof. The car is owned by my neighbor Matt Grace and we run it in several parades, including the Prescott Rodeo Parade and The Cave Creek Old West Days Parade. "By God, Woodrow, it's been one hell of a party."